missing moments: When you wish upon a ...... Fairy? When you wish upon a ...... Fairy? I received two special visits yesterday! Things that brought big smiles to my face! Thing 1 ~ A Butterfly. This is my first butterfly visit of the summer. I was so excited! I used some different settings on my Nikon D7000 of which I was totally unaware. Thanks to Daryl over at On the m104 who learned from Kate over at Chronicles of a Country Girl (~ hop over and check these talented gals out ~) that there is a setting that would improve my vibrancy of photos. I had no clue! The photo above is SOOC ~ straight out of the camera. I have NEVER gotten that good of a shot without some tweaking. I mean, for me it's good ... the pros would be all over it with critiques. If you're curious, I was using my 70-300mm lens as I oft do out my office window. Mode was Programmed Auto and then I went in and made these changes: Shooting Menu ~ Set Picture Control~Vivid~and then Quick Adjusting for more adjusting! The photo below, I just used a Picnik texture and tweaked a bit of color and burned out some of the green leaf. I think it came out fairly nice. Thing 2 ~ A Fairy. I was visited by the Fairy Hobmother yesterday and had my wish granted! A while back, Di from The Blue Ridge Gal had also been visited by the Fairy Hobmother, who left her with a $50 Amazon Gift Card. Di explained that anyone who commented on her blog might also be a lucky winner. So I commented and wished for a new camera lens. And .... WOOT WOOT ... I won! I never win anything! Me and that $50 will be hitting the Amazon store today! So, if you would like a chance at being visited by the Fairy Hobmother leave a comment on this post, telling me what you would spend an Amazon Gift Card on, if you win. One wish per person, please. And good luck to all! The Fairy Hobmother is listening! holy smokes! the winners are running rampant in blogland today!!! you, nancy, and a lady named mary all spending bucks at amazon!!! hobmother! come hither! :) i could use a new something or other!!! maybe new art supplies (as if i've worn out the pencils and markers i have now...) but hey, one can never be too prepared! Congrats on your win! Shopping on Amazon is always fun. I would wish for a new tripod! I've had this same one for over 26 years and the legs are a pain to adjust! Oh Reena...this is lovely! I wish I could take pictures like that. I'm so glad you share yours with us. Way to go on being visited by the Fairy! If I were, I'd be tempted to get some more stamping/scrapbooking supplies or maybe something for my fairy garden. Where can I find the Fairy Hob Mother. I don't need a gift card but I can use some magic for sure. This is Munir over here at Focus. Loving your butterfly shots, the first image really is vibrant. I keep playing around with my settings so I'll have to give that a try. Congrats on your gift certificate. I'm like a kid in a candy store when I log onto Amazon and would be spending it on books or camera supplies for sure. Stunning pictures! I just love it when the butterflies flutter by! 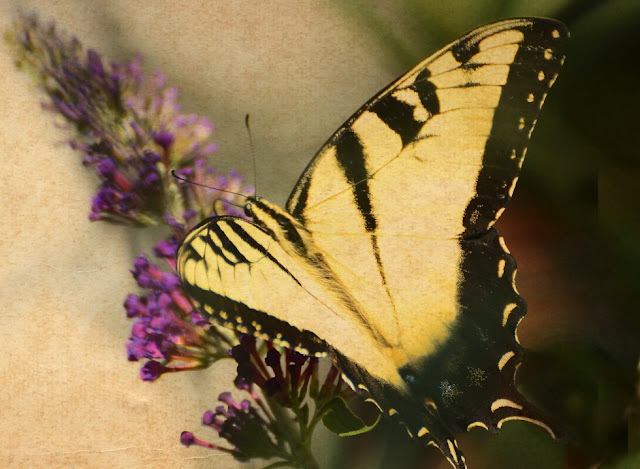 Gorgeous butterfly photos! Lovely work. Oh, my!! to learn how to use a camera correctly!! And I'm so envious of your D7000. I have a measly Nikon D60 that I can't even figure out!!! But, I'd sure like a new lens for it so I have a better chance of getting a decent picture of birds. If only the Fairy Hobmother would visit me ~ I'd love to have a Kindle. I'm retired and love to read! Congratulations, Reena! May I make a wish? I'd like a new camera lens, too. Amazon has some great deals. Thanks for the shout-out. I'm enjoying my vivid setting. I hope that Fairy Hobmother isn't scared away by dogs! I'd still like those new tennis shoes! wow....good for you!! i will have to look in to this fairy hobmother!!! those butterfly photo's are awesome, awesome & visit's by butterflies are good luck ;)!! Butterflies have a very special meaning to me and your photos are so beautiful. If I may be allowed to make a wish it would be for my son. Without going into detail, we have had some very difficult times with illnesses and such. This is a wonderful thing that Fairy Hobmother is doing. What beautiful pictures. I am starting to believe in this Fairy Hobmother, my wish would be for a camera bag so I could carry my camera with me all the time. Hey Michael!!!! Come back and leave a wish!!! You forgot!!! Gorgeous butterflies! I still haven't seen but one and that was ages ago. I'm going to check my camera and see if I have that setting, just in case they venture back. I love the second one, too. I've never played with Picnik much (it takes so long to load on my computer) and didn't realize there were textures. And congrats on your Fairy visit! Ditto your request - a new lens!! I don't think the pro would be all over it with critiques, it's a great shot with lots of details, great composition and color. I'm wishing for a cold front, but some bath goodies would be nice, too. How incredible that your first image is SOOC. As for what I'd spend $50 on....Oh I'd love to apply it towards some camera goodies. I've been adding up my giftcards for something good! Oh. Okay I'm going to wish for more ebooks from Amazon.com. So yeah...that's what I would buy with the $50.00. I would get more books for my iPad. What a entrancing shot ... congratulations on your win. New camera equipment is always fun. Oh fairy hobmother, a remote sensor for my camera would be ever so nice! Fabulous butterfly shots! congrats on winning the prize from the fairy hobmother! These photographs are absolutely gorgeous! The D7000 is an amazing camera. I had the opportunity to use a friend's the other day, and in my opinion, it is the finest new addition from Nikon in awhile. Enjoy it, and I look forward to seeing more from it. 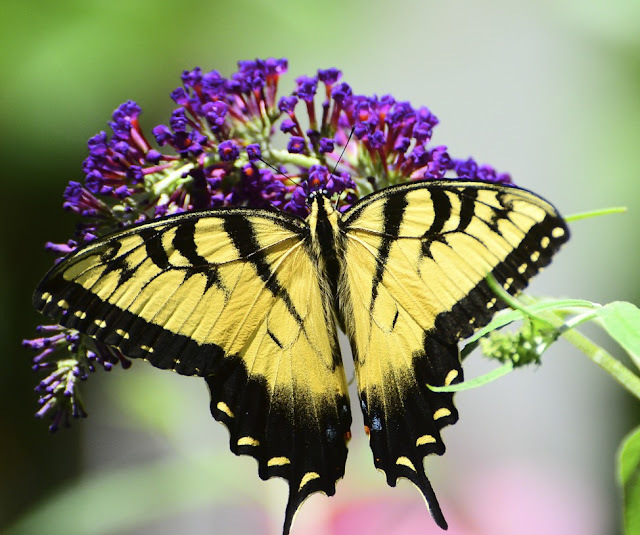 Oh I love Swallowtails....our boys used to chase them when they were little, and when I see one, great memories come back! I have a great photo of one on dill last summer....the lower part of one wing had been "cropped" off. Haha that is great! Congrats for winning!!! And the butterfly shot is great! Congratulations on both counts! The butterfly and texture are wonderful. As for my wish...New lenses are always on my list, but more practical now would be a flash and reflector screen. What a great hobmother! I'm a Di fan from WAY back and a brand new fan of Missing Moments! You chicks are so talented! Oh, I almost forgot to wish! Star light, star bright, first star I see tonight, I wish I may, I wish I might, have am external drive tonight! 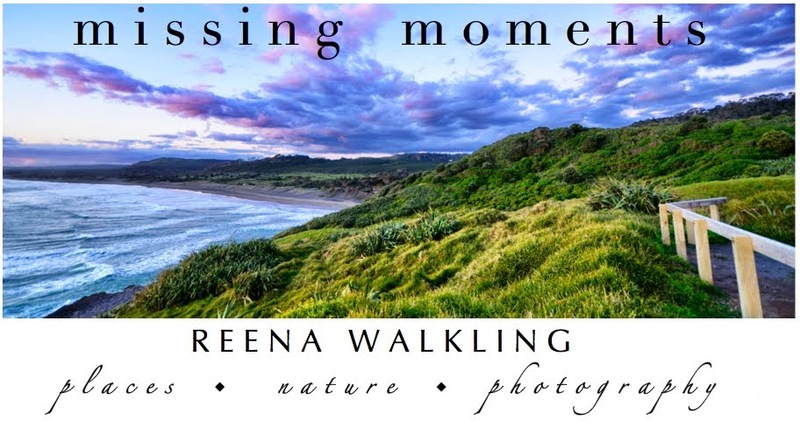 Excellent photos Reena! Don't you love it when your photos turn out perfectly with out any editing. Butterflies are one of my favorite things to take pictures of--I've decided you can never take too many of them! love that butterfly! if i won, i'd put it towards something photography related, probably some books. wow that is great!! Great SOOC shot. What would the 'pros' know anyway? That first image is marvelous. Nikon metering is uncanny and accurate. My Nikons are both film bodies (F3HP and N8008s) and both give excellent results. If I won, I would give it to my 2 children to split, and use for what they wish!! Love, love, love the butterfly images! I'm quite sure my Nikon is missing that special setting! :). I never get good butterfly shots! Thanks for stopping by my blog to! Oh, and if I had a wish from amazon it'd be for some new books for my Kindle on iPad. beautiful texture work on that gorgeous butterfly! Oh wow. That is one spectacular butterfly!! Well I do love Amazon....but I think I am Amazon.ca as I live in Canada. Think fairies work here too? Gorgeous, gorgeous butterfly! Truly great colors SOOC! Lovely edit, too! Maybe Harry Potter will visit today! Mercy! The Fairy Hobmother is on the loose! Congrats on the gift card! I've had my eye on a Canon 100 Macro lens! The gift card would put a nice dent in the purchase price of that lens! Woohoo! Lovely butterfly photos! I suppose if I had an amazon gift card, I would buy one more cf card to make sure I don't run out of space on vacation. i so need to learn how to use my camera more fully ~ thanks for the encouragement and details ~ i guess my wish would be for a photo class and then some blog tech support... i'm not sure if amazon can ship me a sweet patient techie geek?? the wish... I wish I could travel on the wings of the dream and have a special machine to photograph feelings. I have so much to learn about using my camera. I have the D5000. I followed your instructions this morning, and in a bit, I'll take some shots of the flowers outside our hotel room. We're in Trinidad, CA this morning, and will be heading up into Oregon to see family later today. wow....you really had an amazing day. we, as a family, always believe that butterflies that get close to us, are actually a family member or a friend who has passed away. and wow....fairy godmothers are real. who knew ? i know this sounds weird, but my daughter's acne is getting worse, and she said she wanted to try proactiv. well they sell it through amazon...so that's what i would spend the money on. Oh my that butterfly- gorgeous! I had a fluttery beaut in my yard and took pictures but a good lens makes all the difference!! Gosh do you think Fairy Hob mother could help with a new frig/freezer for the food pantry we have? Both freezer and frig are acting up- frig freezes things freezer- not so much! Would love to get some more food in peoples hands but we can't purchase any more frozen or produce till we find something. i wish i wish i wish i had wished right the first time.....here goes. i wish to win the amazon card in order to help out my daughter....is this how you do it ? wow - I never thought about changing those settings but I love how your photo turned out. Congrats on winning the GC - and for paying it forward - If I won - I'd spend it on some camera equiptment - what else is there???? Thanks for doing this - have a wonderful weekend. Very cool shot of the butterfly. I wonder if my camera has that feature. Hmmm. That first butterfly is just AMAZING! Wonderful photo! I learned that little trick awhile back from the Pioneer Woman. I also like using the "Landscape" mode which is also quite vibrant. I've been eyeing a gorillapod which would be nice to keep in the car for those "unexpected" photo ops! Gorgeous shots and yay for winning!!! wonderful captures, I can see why you are pleased with them. Congratulations on your fairy gift! Great photos, excellent focus, I've yet to capture a butterfly. Thanks for your visit and thanks for following my blog, methinks I will return the favour, I like yours too. I just wish you had made it a public follower, then I could see your picture on my side bar. It seems we both have similar interests but I must warn you straight away that I may not be a regular commenter as I am also looking after my husband + Mr.Alzheimer. The combination can sometimes sap my mental energy. Oh so pretty!! Thanks for sharing your Texture Twist! I asked for a new lens, the FAIRY HOBMOTHER must have confused us .. well my fairy-god-husband got me the new lens so now HEY THERE FAIRY HOBMOTHER!!! I could use a lens hood, a protective lens filter and a case .. please ..
Oh, I saw the most heartbreaking story on ABC last night, about the current crisis in Kenya. Thousands of people are starving, because of the drought. I was wishing that I could donate to Doctors Without Borders to help, but I'm flat out of funds, due to some medical emergencies with my cats. So, I wish that I had that $50 to donate.